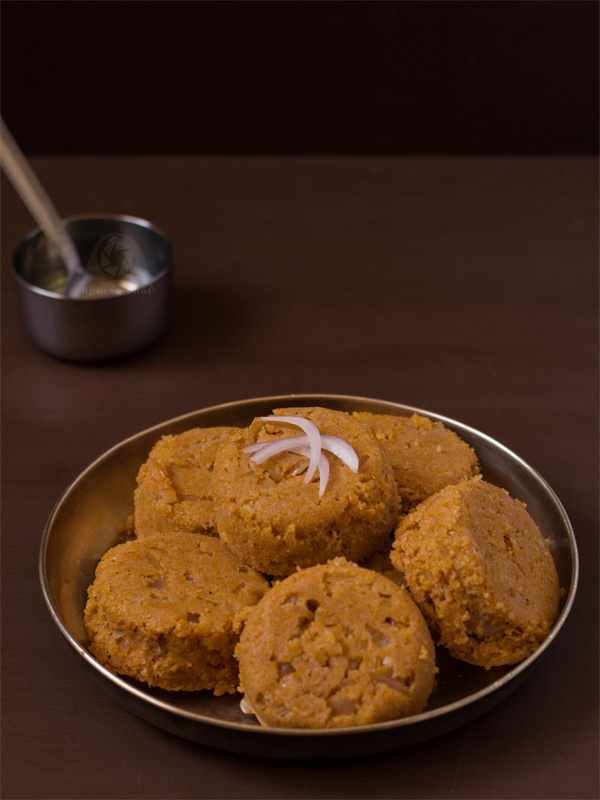 Sanna Khotto is a popular side dish/snack from GSB cuisine. Khotto name is derived from jackfruit leaves (khotte paan) that are used to make moulds/baskets. You may watch the process of making khotte/moulds in this video. These moulds are then used to steam the rice dal mixture and make savoury dumplings. When the mixture is steamed in banana leaves it is called as Sanna Muddo. 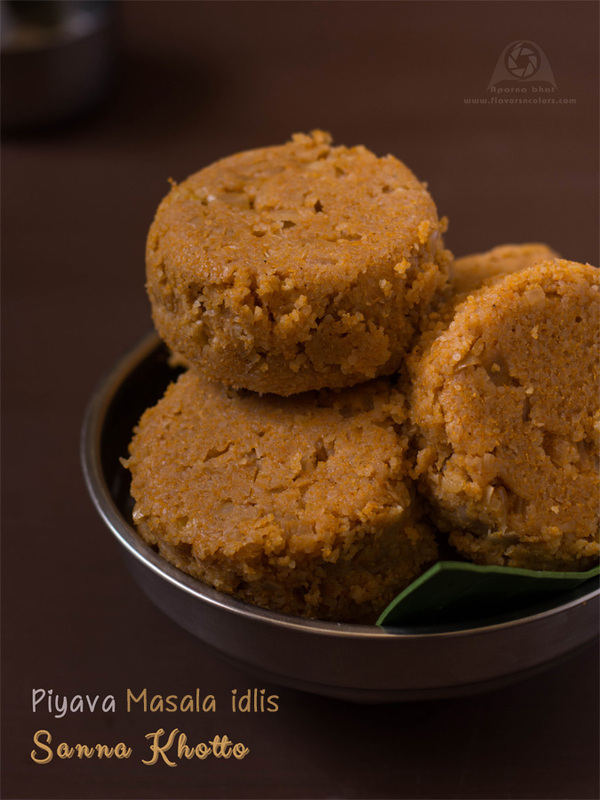 What I have got here today is an instant recipe for these masala idlis (instead of traditional recipe). I have excluded dal while making these idlis, thereby saving on preparation time. The below recipe has been a saviour when I am short on time and in need of making something filling. Soak the rice rawa in enough water for 15-20 minutes. Drain and keep aside. Now grind the grated coconut, roasted red chillies, tamarind extract and very little water to a fine paste. Mix the ground masala with soaked rawa. Add salt to taste and finely chopped onions. Mix everything well. Grease idli moulds/ stands. (You may use dhokla plate instead if you dont have individual moulds). Put the mixture in moulds and steam them in steamer for 15- 20 minutes or until done. Switch off the flame. After 10 minutes remove the idlis from the mould. 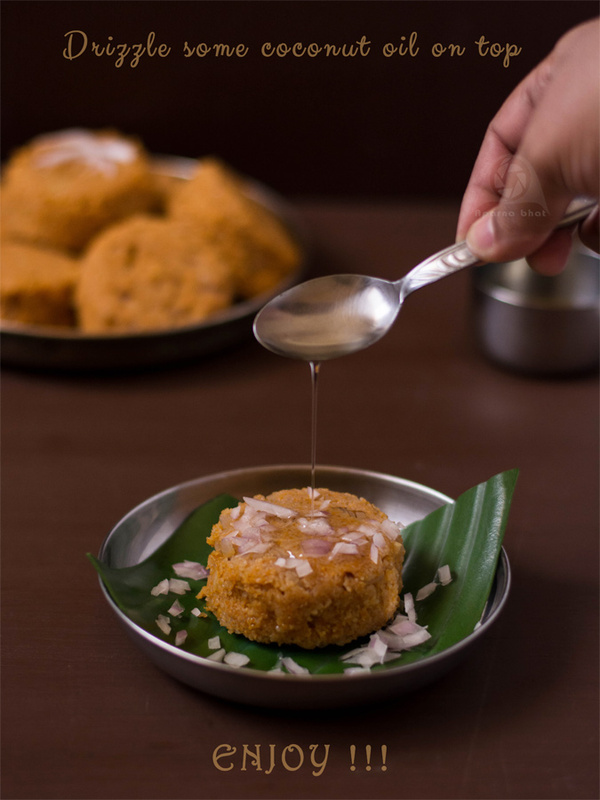 Serve it with generous amount of coconut oil drizzled on top and enjoy it as an accompaniment or a snack. Add asafoetida/hing when you omit onions.